“88% of Americans say the nation faces a retirement crisis”, according to a study published in 2017 by the National Institute of Retirement Security. Stock market volatility, rising debt, long-term care costs, and anxiety about self-funding retirement are just a few of the stressors that are causing a major disconnect between American citizens and politicians in Washington. In fact, percent of those in the study said that the average worker “could not save enough on their own to guarantee a secure retirement,” which is up 73 percent since 2015. It’s time to explore other options. Here are a couple reasons why you should consider diversifying your retirement portfolio with digital currencies. The prices of all cryptocurrencies dropped in mid January 2018 following increased regulation from China and Korea, but, as history shows time and time again, digital currencies always rebound. In fact, cryptocurrencies experienced unprecedented growth in 2017, and all signs indicate that this trend won’t be slowing down anytime soon. “We will see a flood of institutional, retail, and family office money entering the market,” said Don Tapscott, co-author of Blockchain Revolution, in his discussion of digital currency predictions for 2018. Investing in Bitcoin, once considered radical, is now praised by many as a strategic long-term investment. 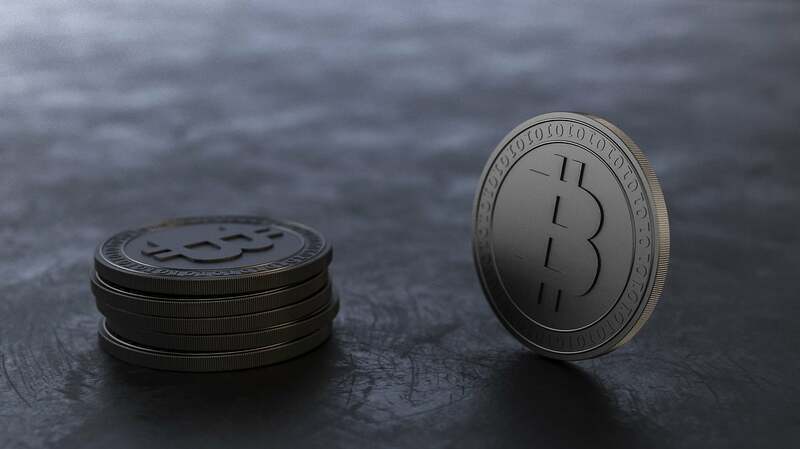 The change in sentiment can be largely attributed to several initiatives bringing digital currencies to the mainstream. In December 2017, CBOE and CME exchanges launched Bitcoin Futures contracts, while Nasdaq plans to launch Bitcoin Futures in early 2018. This has brought Bitcoin and other digital currencies to the attention of a wider group of investors, further legitimizing cryptocurrencies as a viable investment. ETFs are widely expected to be approved in 2018, and will allow financial institutions to invest in the space, opening up a much larger pool of investors. In addition, regulated platforms such as LedgerX and (tZero, which is projected to launch in early 2018) are also providing additional oversight to cryptocurrency exchanges. We saw greater corporate adoption of digital currencies in 2017 as well, with companies such as Square letting users buy and sell Bitcoin. Last but certainly not least, major financial institutions are weighing in on the value of cryptocurrency. Goldman Sachs, which is projected to set up a trading desk for Bitcoin by June 2018, recently released a nine-page report to clients titled “Bitcoin as Money.” And JPMorgan CEO Jamie Dimon admitted that he regretted calling Bitcoin a fraud. All of these events signify that both Bitcoin and digital currencies as a whole are not only here to stay but are only increasing in prevalence and value as an asset class. Customers looking to diversify their retirement portfolios naturally value stable investments, and Bitcoin fits the bill. The rapid mainstream adoption of the digital currency is reducing its volatility and cementing its reputation both as a solid long-term investment and as a safe harbor in an increasingly unpredictable global economy. In recent years, Bitcoin has proved to be safe haven during periods of political turmoil all over the world. During the European debt crisis in 2013, the price of Bitcoin doubled. In 2016, when Britain voted to leave the European Union, both the British pound and the euro dropped, and the price of Bitcoin spiked. In South America, countries such as Venezuela, Bolivia, and Brazil are combatting the continuous economic uncertainty by relying on Bitcoin for day-to-day transactions such as buying food or paying employees. And last year, following rising tensions between the United States and North Korea, investors increasingly flocked to both gold and Bitcoin as alternative assets. While gold has a more established reputation, its price has remained largely static over the past five years, while the value of a single Bitcoin is continuously surpassing all-time highs. This has cemented the digital currency’s merit as a valuable long-term investment. Now more than ever is the time to rethink retirement. In the current landscape, many people are scared they will be unable to meet their retirement goals with traditional investment options - stocks, mutual funds, bonds, precious metals, real estate, etc. This is not the time for fear, but for excitement. Investing in a long-term Bitcoin IRA, away from government regulation, stock market volatility, and market fluctuations caused by global unrest, could enable people to retire earlier and richer than they ever imagined. Cryptocurrencies continue to demonstrate their influence and crypto bulls argue they are worth considering if you are looking to diversify your retirement portfolio with alternative assets. Disclaimer: This article is for informational purposes only, and does not contend to address the financial objectives, situation, or specific needs of any individual investor. Any information is for illustrative purposes only, and is not intended to serve as investment advice.